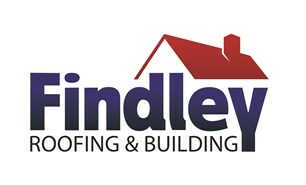 Findley Roofing & Building Ltd - Builder, Roofer based in Blackhall Colliery, Cleveland. Welcome to Findley Roofing & Building's Checkatrade profile! We are proud to be a North East and Yorkshire based roofing company with over 40 years' experience. We have a fantastic reputation within the roofing industry and commit to offering our customers the best possible experience. Roof repairs - Roof replacements - Flat roofs - Brickwork - Slate Roofing - Rubber roofs - Chimneys - Leadwork - Conservatories - Garage Conversions - Resin Driveways - Dry Ridge Systems - And, more! We offer FREE roof MOTs and pride ourselves on our high standards. We have over 160 staff and 73 vans on the road, and employ master slaters, renderers and those specialising in brickwork and joinery.